In the tradition of land-art as a reflection of the dreams and aspirations projected onto the American West, Mirage Gstaad presents a continually changing encounter in which subject and object, inside and outside are in constant flux. With every available surface clad in mirror, it both absorbs and reflects the landscape around in such ways that the exterior will seemingly disappear just as the interior draws the viewer into a never-ending kaleidoscope of light and reflection. As Mirage Gstaad pulls the landscape in and reflects it back out, this classic one-story suburban house becomes a framing device, a perceptual echo-chamber endlessly bouncing between the dream of nature as pure uninhabited state and the pursuit of its conquest. 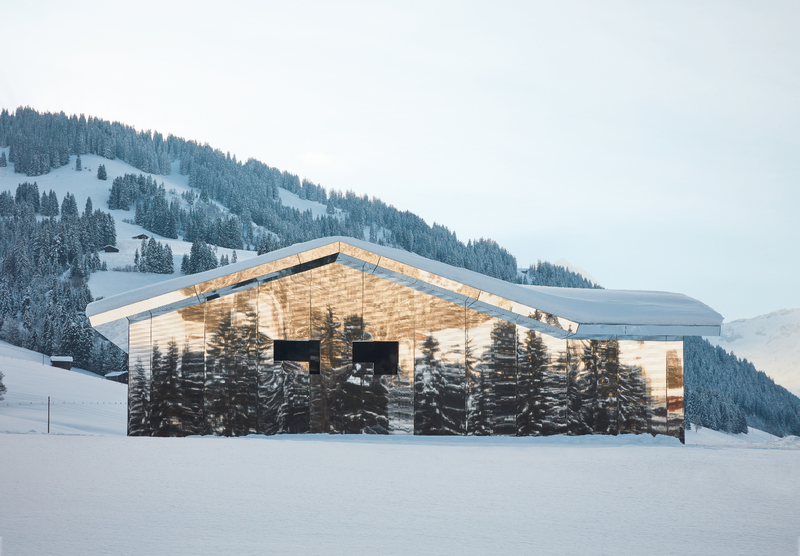 Situated against the backdrop of Videmanette in Gstaad, Mirage Gstaad will bring the idea of the Manifest Destiny and the American West into contact with the European landscape and the tradition of the sublime.